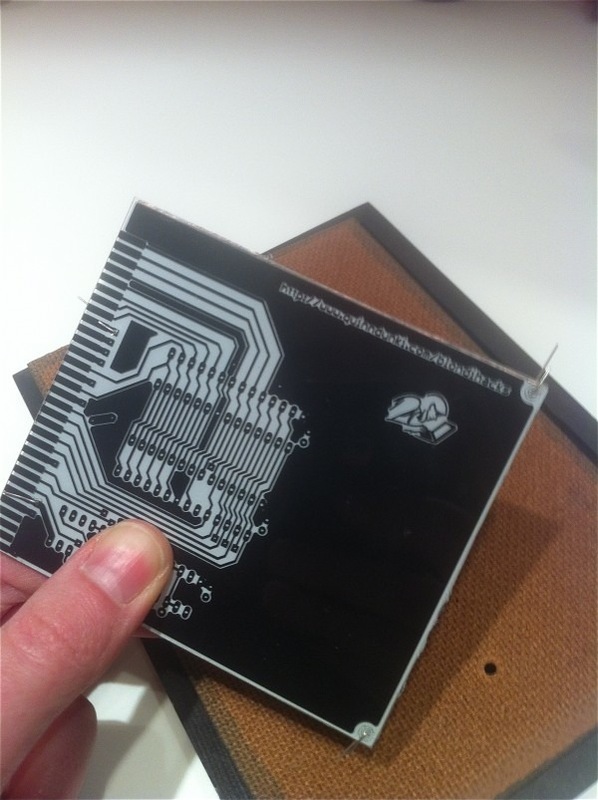 Two-Layer PCB Etching « Adafruit Industries – Makers, hackers, artists, designers and engineers! Etching PCBs is a topic I’ve covered quite a bit already, here and especially here. You might think I’ve beaten this copper and fiberglass horse to death. Well, I don’t want to be a one-trick pony, so there’s one more thing to try. Lucky for you, I’ve run out of horse-themed metaphors so I’ll just get to it. I’ve been wanting to try two-layer PCB-making for a while now, because the boards I’m making for Veronica are reaching complexity levels where the top-side jumper count gets a little nuts. I also have lofty dreams of running boards above 10Mhz, and those jumpers will quickly become a liability. Furthermore, building jumpers is quite a bit of work, so if I can eliminate that, it would be a real win.